Living in Northern Ireland, the majority of clothes in my wardrobe tend to be heavy jumpers and jeans. It is almost always cold here so when I do finally shop for myself (having children often means that I'll spend most of my money on them!) I always opt for something practical rather than an item that 'looks nice'. My mum did gift me some money to spend solely on myself for Christmas and I stupidly bought a skirt, some tights, vest tops and ripped jeans. What was I thinking!? God knows when the weather will be good enough to wear them! January has been a pretty abysmal month, weather-wise. We've had snow and ice and I've found every inch of my body feels like it's frozen when I do pluck up the courage to step outside. It's my birthday soon and my dad has told me that he will just give me money to "spoil myself". Naturally, as a woman, my first though is clothes! I've had a quick "window shop" online and have made a mental note of what I want to buy. 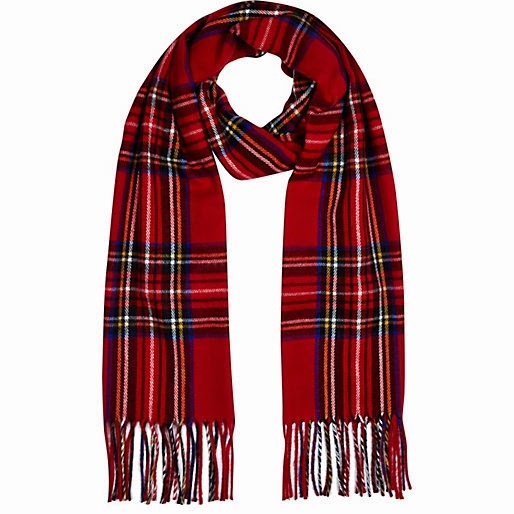 Firstly, no winter wardrobe is complete without a scarf and I am loving this tartan one from River Island. I hate when my toes get cold so my winter necessities have some chunky socks teamed up with these gorgeous boots from ASOS. I think at the top of everyone's winter list is a heavy coat. I am loving this checked duffle coat from New Look. I've had days when it is quite cold but wearing a big coat is just too much. This women's gilet is perfect! It keeps your torso warm and it's available in a range of colours. You can even wear it under your coat. Finally, and I have a huge collection of jumpers but you can never have too many. This coral jumper from Peacocks is my must-have! 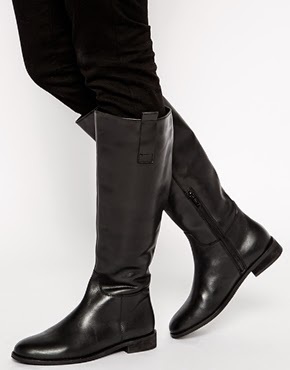 1 comment on "Dressing for the Cold Weather - Wishlist"
Boots is a must. I'm not a big scarf or hat wear person. Baby keeping me warm this winter.